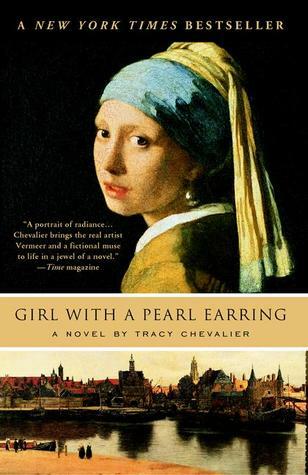 Tracy Chevalier transports readers to a bygone time and place in this richly imagined portrait of the young woman who inspired one of Vermeer's most celebrated paintings. History and fiction merge seamlessly in this luminous novel about artistic vision and sensual awakening. Girl with a Pearl Earring tells the story of sixteen-year-old Griet, whose life is transformed by her brief encounter with genius...even as she herself is immortalized in canvas and oil. This isn't a big book, just 233 pages long and another audio (from Audible) version for me. I was totally captivated by this book. The reader did a wonderful job and brought Griet's story to life. Told in first person it was like sitting down with Griet and her telling me her story. Even though I was born in Canada, my roots are from the Netherlands. I've been to Delft and have some lovely pieces in my home. So reading about it in this book just brought back memories and stories from long ago. Watching Griet grow up in the Vermeer household, I could feel her pain in leaving her family behind. The struggles in the Vermeer household were vivid and I couldn't help but feel her heart ache in some of the struggles that she went through. The details in the life of not just the artist but a serving girl and the affect both had on Vermeer's family was very interesting. This is my second book by Tracy Chevalier, The Last Runaway, was my first. Definitely an author that I will be reading more of. 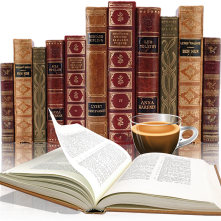 This book will appeal to lovers of historical fiction involving art and a little of Dutch history. Love the cover and it sounds like a pretty good read! Enjoy!